Is There a Best Time to Supplement with or to Drink Cayenne Pepper? One of the fun aspects of having this website it that I get emails from people literally all over the world, i.e., England, Germany, Italy, Iceland, Australia, India, Jamaica, S. Africa, Thailand, and of course all over the U.S. Very few are rude and accusatory and by far almost all are positive. People seem to be disenchanted with the medical establishment and are open to natural options, hence the questions, and I suppose that is how they found my site as well. One of those people who recently contacted me asked a very good question about the when to drink it versus the how. That is what inspired this article. Some are not sure how to drink it and ask all sorts of questions regarding it. It's understandable as cayenne pepper is unconventional to drink, which I can appreciate. It is a very good question as to when to imbibe this odd concoction. Essentially, here was my response to him. I try to drink it once a day every day. I don't sometimes, though, as it sometimes it just slips my mind. In my opinion, and it's only an opinion mind you, there really is no best time to drink it. However, this brings up some related thoughts that perhaps you might find useful. I do suggest that you plan ahead when you drink it -- especially in the beginning. If, for example, you are going to take it an hour before an athletic event like running, soccer, softball, basketball, etc., it could cause some nausea. I felt some nausea during the game and it is because for some reason if you're not relatively still for a couple of hours after taking it, or if you take it and are moving your body around a lot, it can "slosh" around if you will, and cause nausea. At least that's what it does for me. I also don't recommend taking it after a strenuous athletic event like long-distance running or sprint running or weight lifting. For some reason, it can cause real stomach upset and nausea. I've personally experienced this. 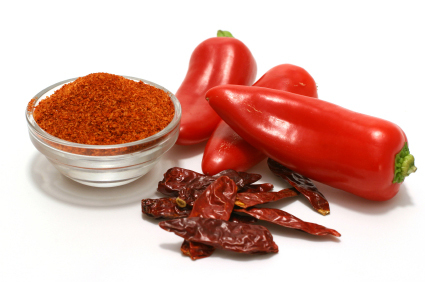 Cayenne is wonderful with many health benefits but must be taken with judgment and wisdom. I'm not saying that after taking it you have to sit still for hours and hours or just watch TV with a minimum amount of movement. I'm not saying that at all. Just don't do anything too physically strenuous. You can still do normal things. I am saying, though, that after drinking it you should sit still or have minimal body movement for about half an hour -- at least in the beginning and when increasing the amount of cayenne. This is more relevant for people who have a sensitive stomach like me. This simple guideline works wonders for me. I think perhaps it will for you too. I guess the rule of thumb would be to not plan on doing anything real physical. Again, when I take it, I just relax at my computer, do some Web surfing, writing, reading, or watching TV. Whatever I do, I just make sure to not be too physical for about half an hour. These simple guidelines work for me and I'm sure they'll work for you if you decide to give cayenne an honest try. It's really not that inconvenient to add to your daily life, at least it hasn't been for me. Remember, taking cayenne is unconventional -- I readily acknowledge that. I personally am willing to deal with any inconvenience in order to glean the incredible and increasingly documented clinical benefits of capsaicin and cayenne pepper (capsaicin is the active ingredient in cayenne and other hot peppers). To answer directly as to the best time to drink it, it's really up to you and your lifestyle. I have had people write me in the past two years who have said they like taking it at night before bed or upon arising or during the day after a meal. I would just think ahead as to when you take it. I take it on arising or in the afternoon, but that's just me. There's nothing sacred about those times. For maximum therapeutic benefit, people are advised by many naturopaths and medicinal herbalists to take it two to three times a day. Once a day is enough for most people, though. Personally, if I had a health problem, I would take it a minimum of twice a day, probably three. My personal slight hemorrhoid problem was resolved by taking it once a day for just two days, though. It worked for me and it's now all completely healthy I'm happy to report. (I am not a doctor so I'm not prescribing anything here.) You do what you feel best only educate yourself accordingly. Like the Good Book says, "Prove all things, hold fast to that which is true." Good words to live by. P.S. I used to drink eight ounces of water with the cayenne pepper powder. Not anymore. Now, I only consume three or four ounces at most. That makes it easier to drink and I still get the great cayenne pepper benefits. P.P.S. Lastly, if you're interested in supplementing or experimenting with cayenne, you can get more information about buying good quality cayenne at this article within this site or go go here please for a full price list.